A Maryville businessman is at the forefront of a growing corporate trend — kung fu. Richard Clear of Clear’s Silat and Street Kung Fu in downtown Maryville has brought a martial arts program he created in Florida, one specifically tailored to business executives, to Blount County. The price tag for Executive Transformations is nothing to sneeze at — one-on-one training starts at around $2,500 a day, while groups can train for about $450 a person — but Clear believes the investment is perhaps the smartest one a person can make. Not only do people learn to defend themselves, but they gain added benefits such as increased confidence and focus, as well as an improved ability to make decisions quickly and under pressure. Six months later, the doctor came back to visit Clear and said he was engaged and had recently expanded his practice. Was it the martial arts training? Clear said his students’ increased confidence comes from real ability, and that new sense of confidence carries over to all a person’s other activities, including careers. He related another account of a financial planner, Michael Kluzinski, who took his course and soon doubled his productivity, boosting his sales to the million-dollar range. Kluzinski was later attacked while traveling in Costa Rica and credited Clear’s course with saving his life. Too often, Clear said, people have an “it-won’t-happen-to-me attitude” — until it’s too late. Another benefit of his program, he said, is that it teaches “superior positioning skills,” or ways to defend oneself without being held liable for assault. He teaches students how to move in ways so, ideally, they can avoid being hit. If they do have to fight back, he teaches them ways to maneuver so that it will be clear to any responding law enforcement that they were merely defending themselves. Over the years, Clear has taught numerous corporate seminars in the United States and Canada and has had clients that included CEOs, attorneys, law enforcement officers and military personnel. 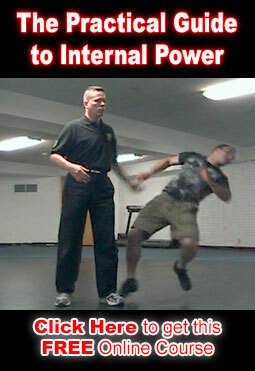 His Executive Transformations program was featured in the March 2000 issue of Millionaire magazine and his techniques, which draw heavily on processes he learned in Indonesia and Malaysia, have been featured in magazines such as Inside King Fu. Though Executive Transformations is gaining popularity with corporate clients nationwide, Clear offers more affordable classes for the general public, generally starting at around $99 a month. He does not teach children. His students typically range in age from 16 to 60, he said. Sixteen- and 17-year-olds require prior approval. “I won’t teach a 16-year-old thug,” he said. Safety isn’t just for senior executives.